Need a new boiler in Ferryhill? Get FREE no-obligation quotes now! 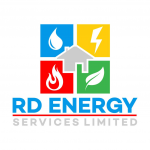 We are a plumbing and heating company who offer our services to the public, private landlords and businesses in Durham and the surrounding areas. Welcome to SA Beale Plumbing and Heating, a family run business from Newton Aycliffe. Borthwick Heating Ltd are Gas Safe registered heating engineers who supply and install gas boilers. We are a gas heating repair, installation and servicing company. Specialising in all aspects of gas, plumbing and heating work including powerflushing. Boiler very noisey but working. Quote to repair please. Current Fuel: Electric Current Boiler: Storage Heaters. Supply and fit of Oil tank, pipework boiler and 5 x radiators. Timescale ASAP. Contact anytime. No boiler. Would like the new boiler to be located in the dining room. Install within 3 months. Contact anytime.